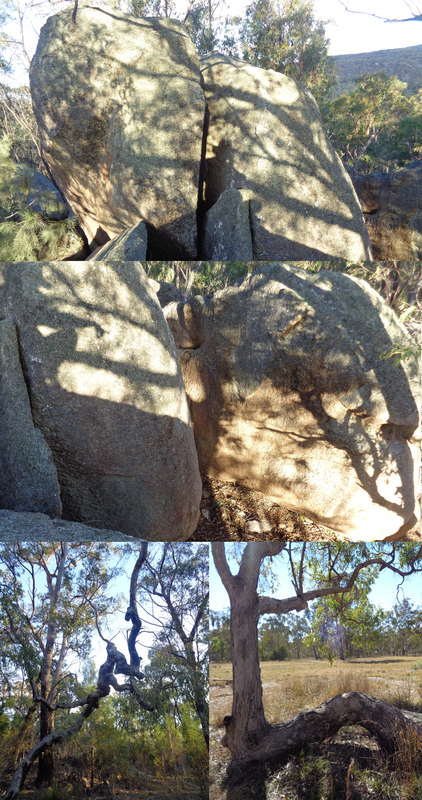 My artist residency at Rovers Rest near Girraween was a short term project for one week. 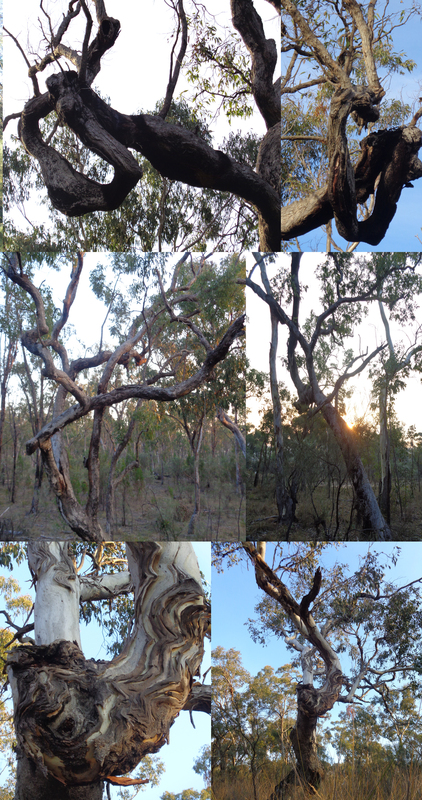 The trees at Rovers Rest are truly remarkable and inspired me to create the work below. 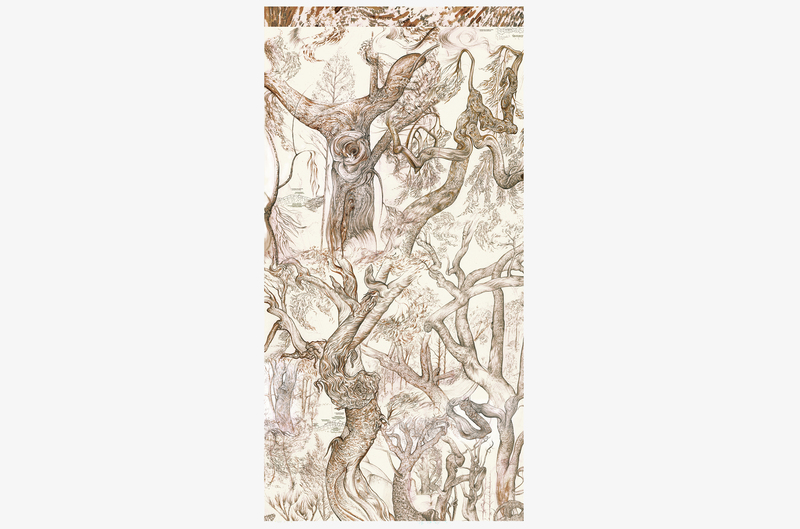 Scroll down to see photos of the trees I encountered. I have included in brief account of the regional geology. The Stanthorpe Granite was originally a molten mass of magma that rose up and pushed into the older rocks surrounding it, about 240 million years ago (Triassic period). The magma probably resulted from heat generated in the crust when the eastern side of the continent was being compressed by two tectonic plates coming together. While it was still deep below the Earth’s surface, the magma cooled very slowly, allowing its minerals to solidify and grow into large crystals. The crystals interlocked as they grew, creating the coarse-textured granite. These crystals are so big that they can easily be seen in the rocks. 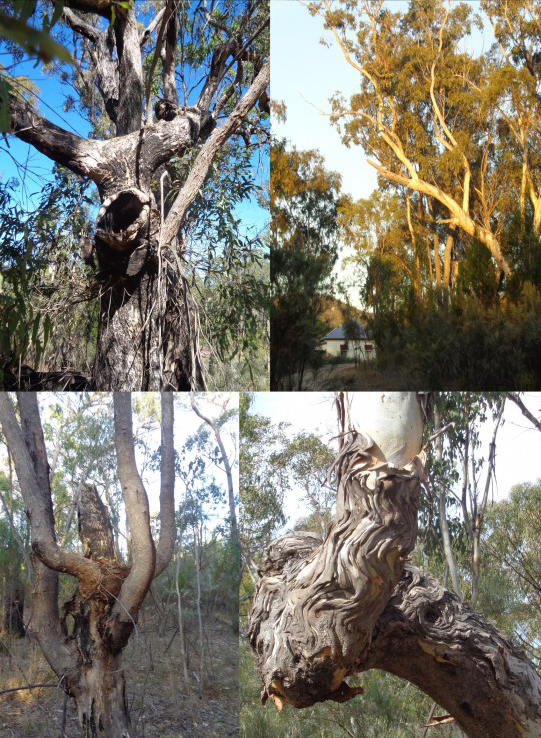 Below are photos from the region at and surrounding Rovers Rest.